Aaron Bartels-Swindells received an M.A. (Hons) in English Literature from the University of Edinburgh and an M.Phil. in Criticism and Culture from the University of Cambridge. 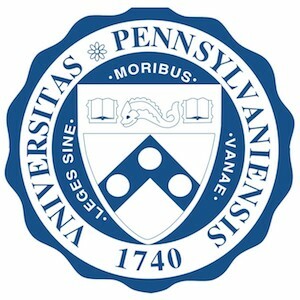 Prior to coming to Penn, he was a Fox International Fellow in the MacMillan Center for International and Area Studies at Yale University. He specializes in postcolonial studies, and his work addresses the significance of colonialism and imperialism in Anglophone literatures of Sub-Saharan Africa. Additional topics of interest include political economy, race and racialization, ideology and social action, Marxism and critical theory, and language-in-use. He is currently thinking about realist fiction from Southern Africa. He has co-coordinated both the Latitudes graduate working group in the Penn English department (2015-2018), and the African Visual Media Group at Harrison College House (2015-17), the latter of which he co-founded. He has also been a Graduate Associate at Harrison College House (2015-17), as well as the Treasurer (2016-17), SASGov Representative (2015-16), and First-Year Representative (2014-15) for the Graduate English Association (GEA). Whilst at Penn, he has received Foreign Language Area Studies (FLAS) awards to study Afrikaans and isiZulu, and participated in a Fulbright-Hayes Group Project Abroad to South Africa. Aaron Bartels-Swindells WIP: "Of 'Masks and Marx': Ayi Kwei Armah's Afrocentrism and Decolonial Aesthetics, 1967-1984"